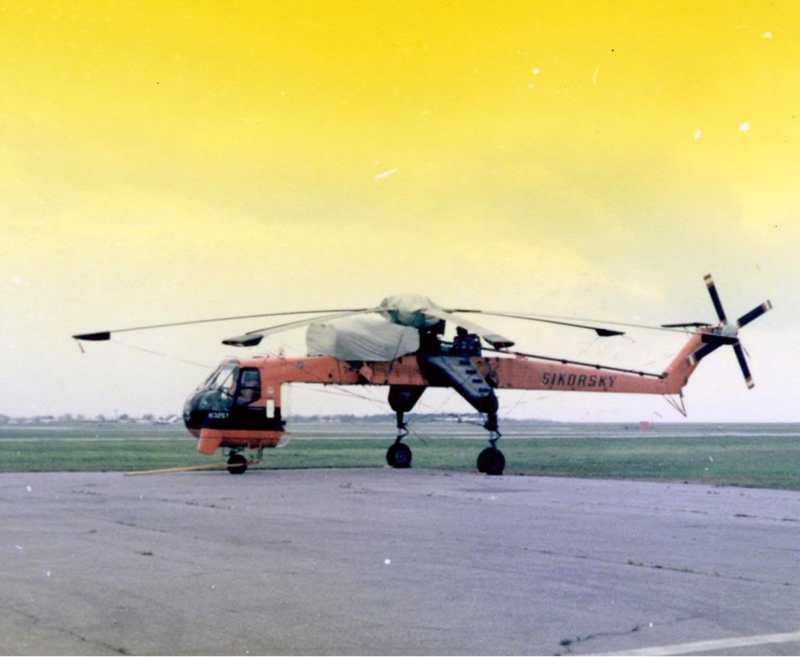 9 May 1962: The Sikorsky S-64 Skycrane, N325Y, prototype of a heavy-lift helicopter, made its first flight at Stratford, Connecticut. 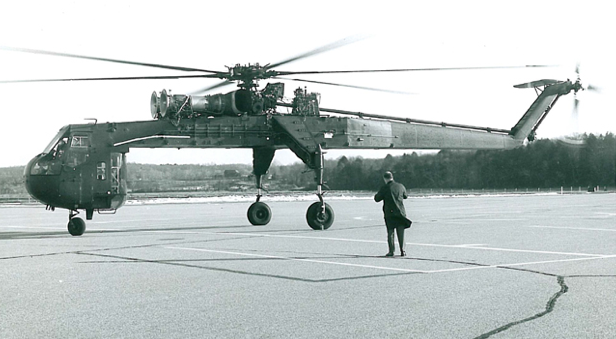 The Skycrane was a turbine-powered evolution of the piston-engined S-60. 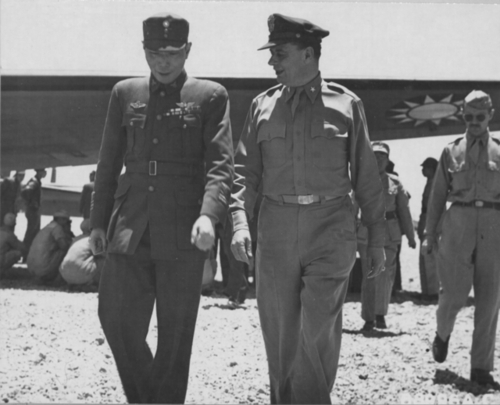 The United States Army bought six S-64s for evaluation, and then ordered 54 production aircraft, designated CH-54A Tarhe, and 35 CH-54Bs. 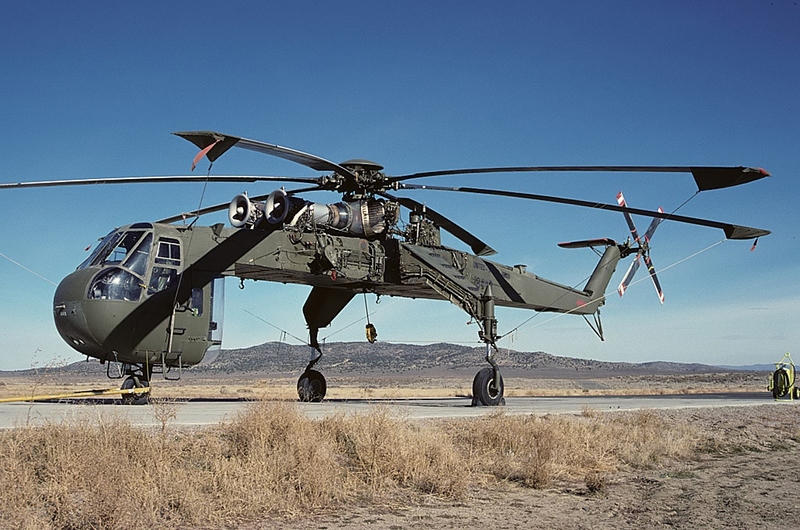 Sikorsky produced 12 S-64E and Fs for the commercial helicopter market. N325Y, the prototype Sikorsky S-64, was damaged beyond repair in an accident near Arboles, California, 19 August 1968. The FAA registration was cancelled. 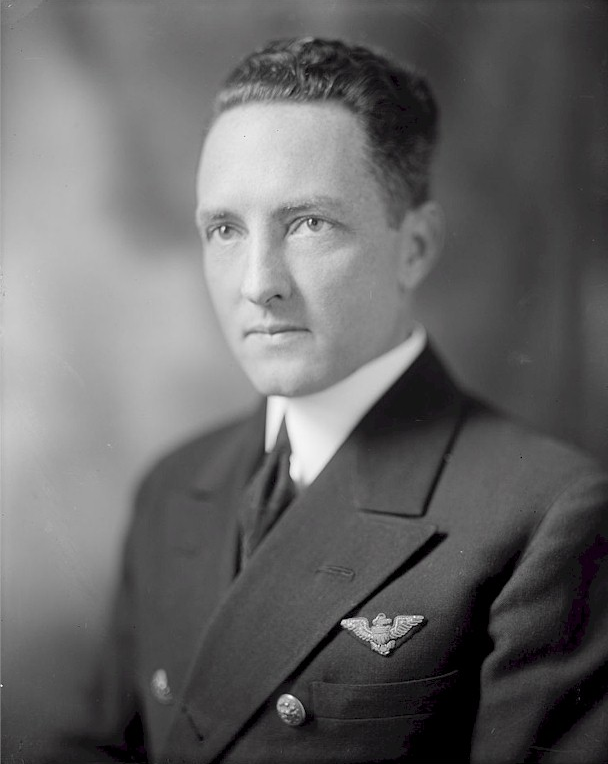 9 May 1926: Lieutenant Commander Richard Evelyn Byrd, Jr., and Chief Aviation Pilot Floyd Bennett, United States Navy, departed Spitzbergen in the Svalbard Archipelago, Norway, on a round-trip flight to the North Pole. 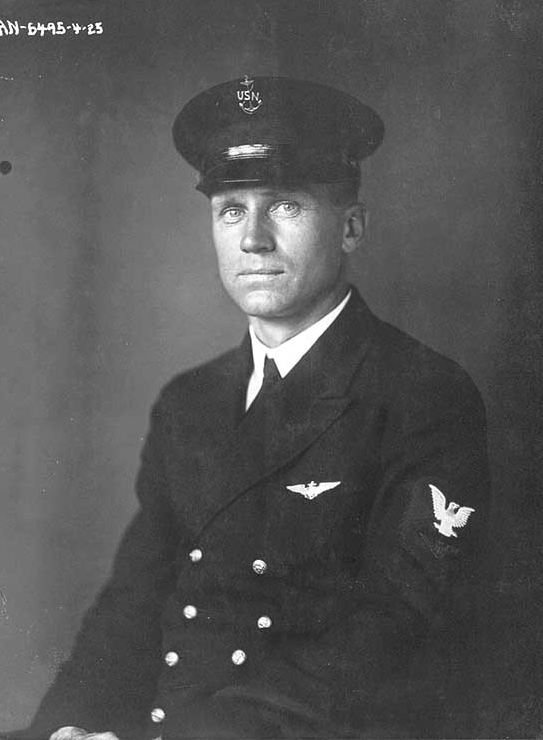 Their aircraft was a Fokker F.VIIa/3m three-engine, high-wing monoplane, construction number 600. 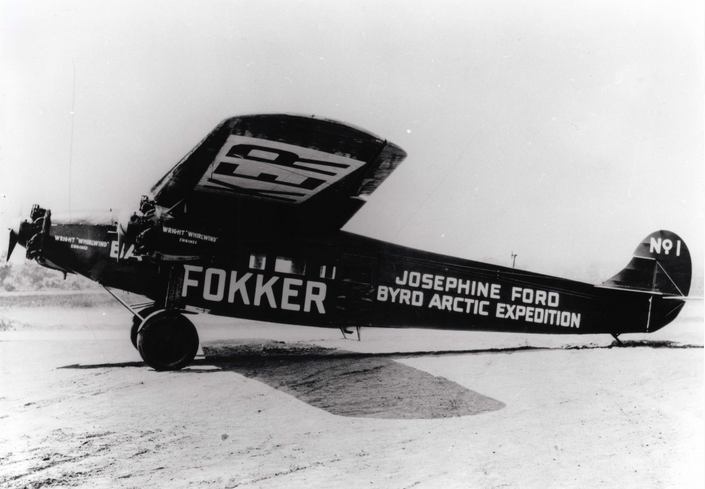 The airplane was It was purchased for the Byrd Arctic Expedition by Edsel Ford, and named Josephine Ford in honor of his 3-year-old daughter, Josephine Clay Ford. 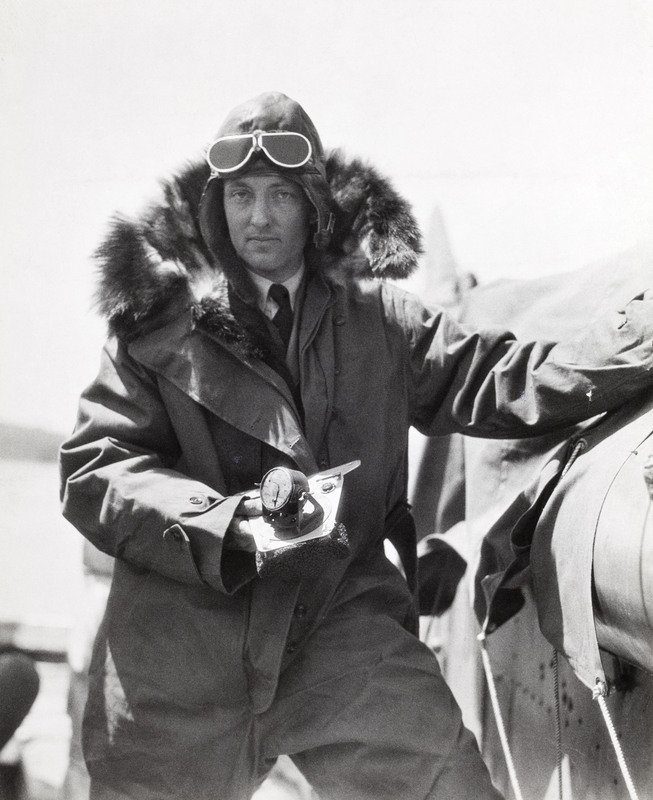 With Chief Bennett as the expedition’s pilot and Lieutenant Commander Byrd navigating, they flew approximately 1,600 miles (2,575 kilometers) to the Pole and returned the same day. The total duration of the flight was 15 hours, 44 minutes. 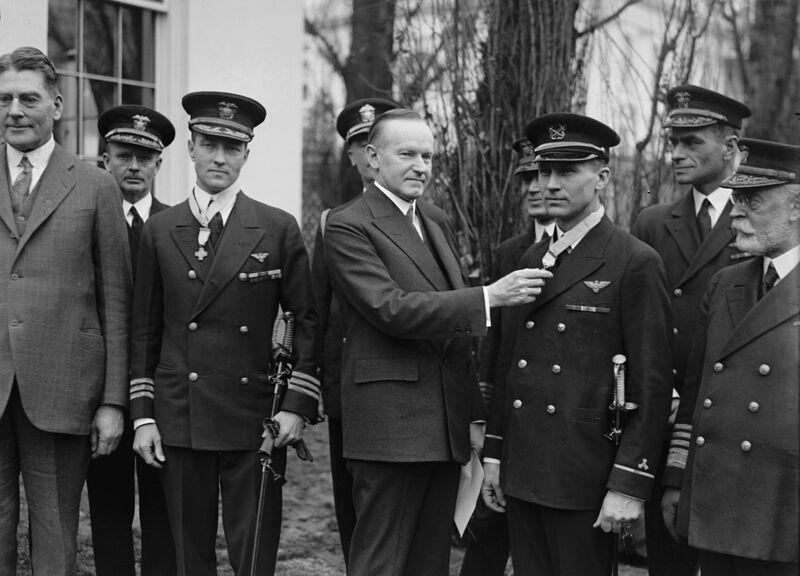 Secretary of the Navy Curtis Dwight Wilbur, Commander Richard Evelyn Byrd, Jr., President John Calvin Coolidge, Jr., Warrant Officer Floyd Bennett and Admiral Edward Walter Eberle, at the White House, 5 March 1927. 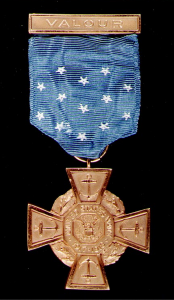 Medal of Honor, U.S. Navy, 1919–1942. 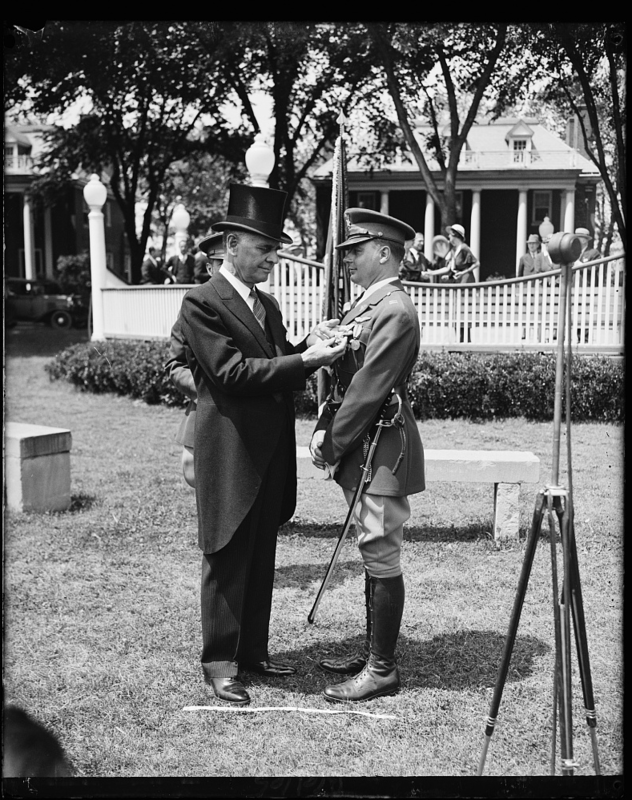 For this accomplishment, Lieutenant Commander Byrd was promoted to Commander, and Chief Bennett to Warrant Officer. 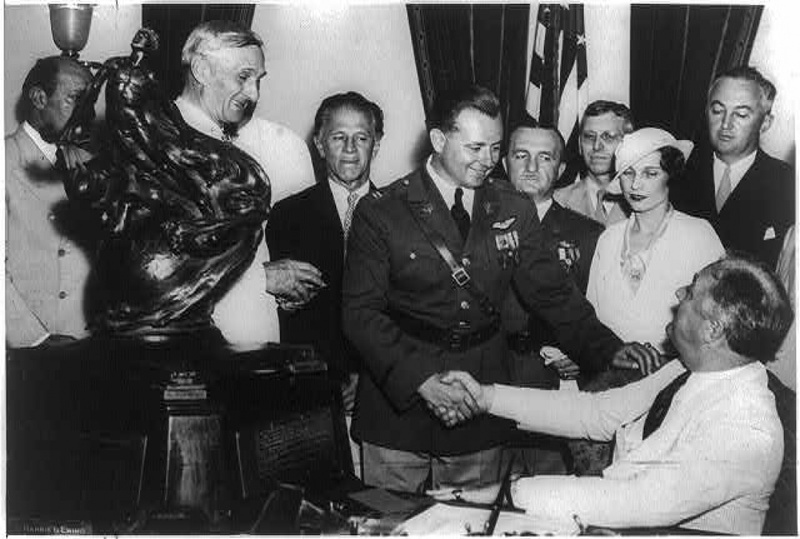 Both aviators were awarded the Medal of Honor by President Coolidge. 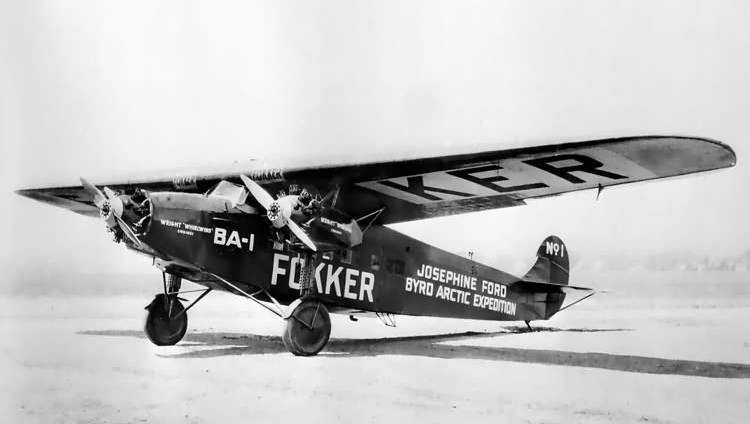 Josephine Ford is the first Fokker F.VIIa/3m monoplane, c/n 600. It was built by Anton H.G. 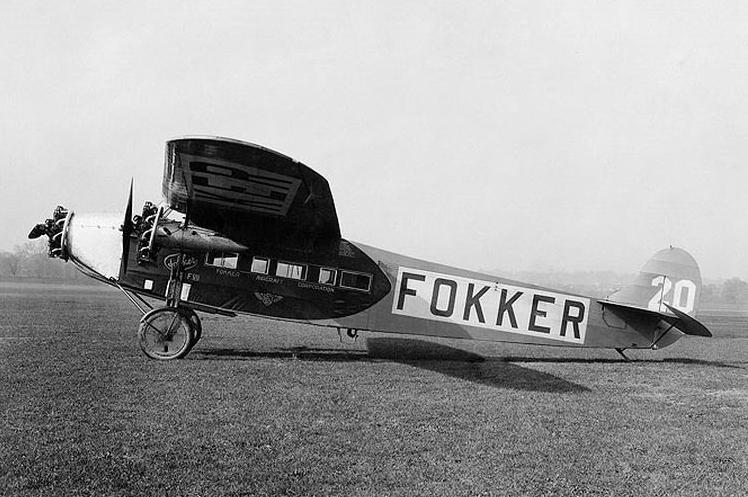 Fokker’s N.V. Koninklijke Nederlandse Vliegtuigenfabriek Fokker at Veere, Netherlands in 1925, and made its first flight at Schipol, 4 September 1925. 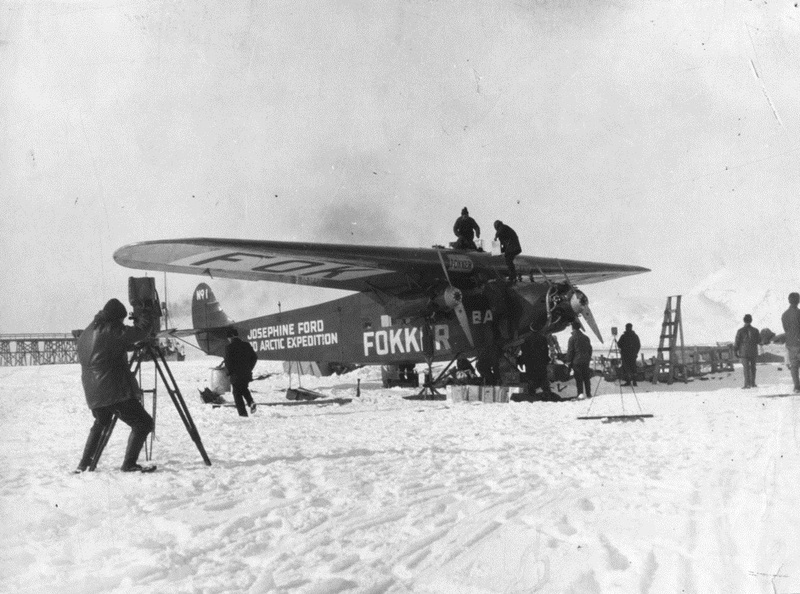 It was demonstrated for Koninklijke Luchtvaart Maatschappij N.V. (KLM, Royal Dutch Airlines), then disassembled and shipped to the United States. 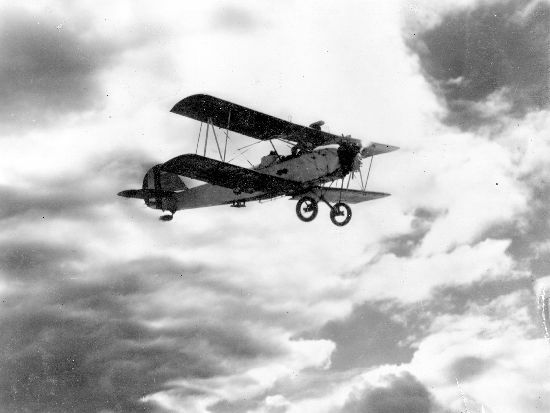 600 was flown from New York to Detroit, where it participated in the First Annual Aerial Reliability Tour, 28 September–3 October 1925, flown by Egbert P. Lott. 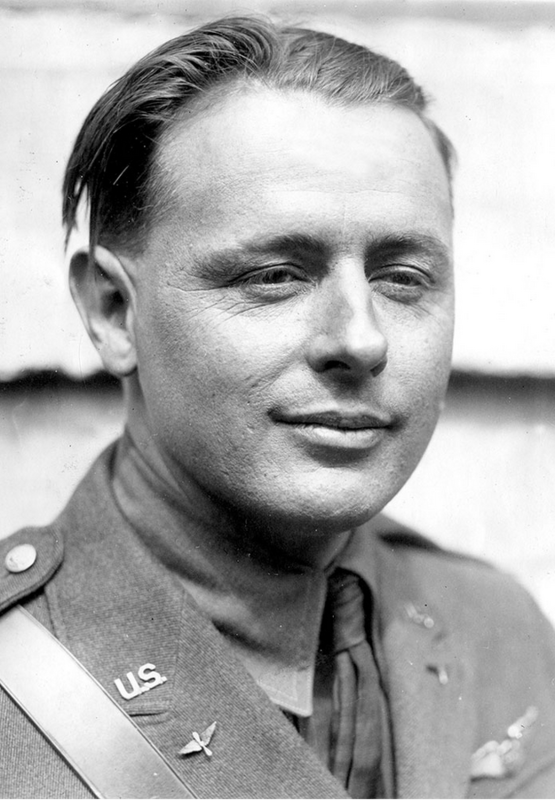 The airplane was evaluated by the U.S. Army Air Corps at Wright Field, and was then sold to Edsel Ford. 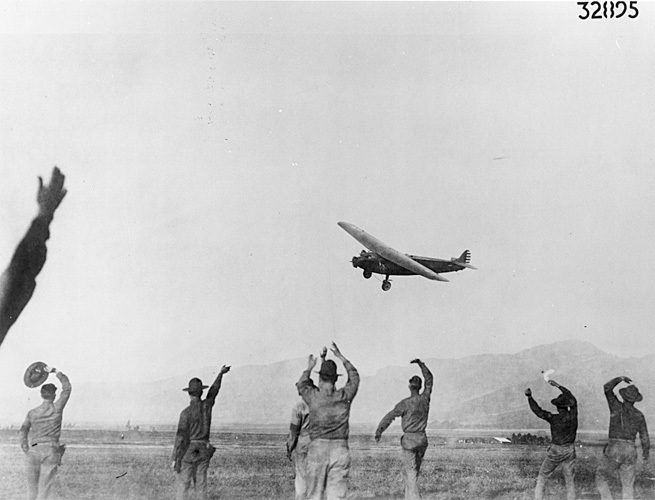 The United States did not register aircraft prior to 1927. 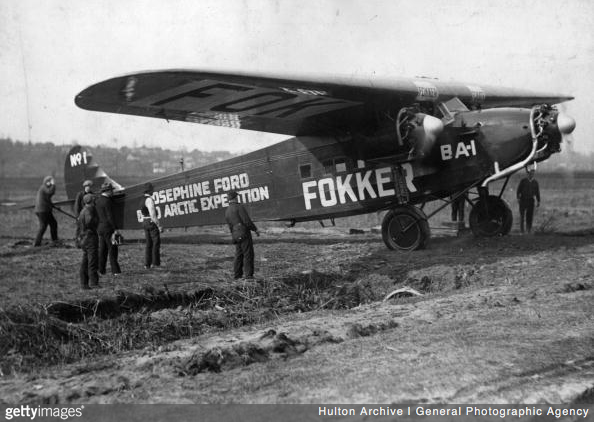 According to the Federal Aviation Administration’s FAA Registry data base, FOKKER VII (TRI-MOTOR) Serial Number 600 was registered 21 June 1927 to the Ford Motor Company, Dearborn, Michigan, as NC267. The registration was cancelled 14 March 1930. Sources vary as to the actual dimensions of the Fokker F.VIIa/3m. 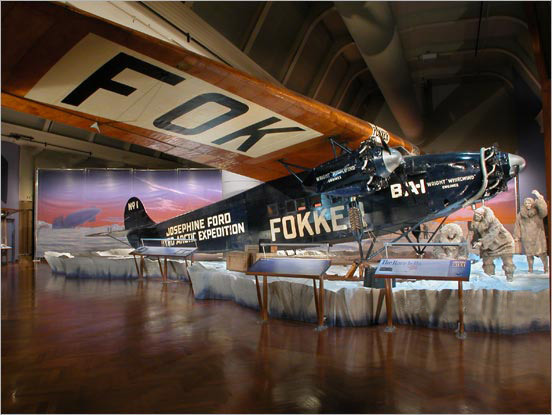 The Henry Ford, the museum which owns the airplane, gives its dimensions as 49.167 feet (14.986 meters) in length, with a wingspan of 63.5 feet (19.355 meters) and height of 12.75 feet (3.886 meters). Another source says that the airplane is 47 feet, 11 inches (14.605 meters) long with a wingspan of 63 feet, 4 inches (19.304 meters) and height of 12 feet, 8 inches (3.861 meters). Its empty weight is variously given as 4,630 pounds, 5,060 pounds or 6,724 pounds and maximum takeoff weight is 7,950 pounds, 8,800 pounds or 11,464 pounds. It has a cruise speed of 81 knots. Or 90. . . .
Josephine Ford is in the collection of The Henry Ford Museum, Dearborn, Michigan.